2. Copyright. The content, organization, graphics, design, compilation, magnetic translation, digital conversion and other matters related to the Site are protected under applicable copyrights, trademarks and other proprietary (including but not limited to intellectual property) rights. The copying, redistribution, use or publication by you of any such matters or any part of the Site, except as allowed by Section 4, is strictly prohibited. You do not acquire ownership rights to any content, document or other materials viewed through the Site. The posting of information or materials on the Site does not constitute a waiver of any right in such information and materials. 3. Trademarks. MrBoxOnline.com™, Exact Pack™, Lucky Dog Brands™, Lucky Dog Tape™, Lucky Dog Stretch Wrap™ are registered trademarks of Florida A&M Tape & Packaging, Inc.. Other product and company names mentioned on the Site may be trademarks of their respective owners. 4. Limited Right to Use. The viewing, printing or downloading of any content, graphic, form or document from this Site grants you only a limited, nonexclusive license for use solely by you for your own personal use and not for republication, distribution, assignment, sublicense, sale, preparation of derivative works or other use. No part of any content, form or document may be reproduced in any form or incorporated into any information retrieval system, electronic or mechanical, other than for your personal use (but not for resale or redistribution). 5. Editing, Deleting and Modification. We reserve the right in our sole discretion to edit or delete any documents, information or other content appearing on the Site. 7. Nontransferable. Your right to use the Site is not transferable. Any password or right given to you to obtain information or documents is not transferable. 8. Disclaimer and Limits. THE INFORMATION FROM OR THROUGH THE SITE ARE PROVIDED "AS-IS," "AS AVAILABLE," AND ALL WARRANTIES, EXPRESS OR IMPLIED, ARE DISCLAIMED (INCLUDING BUT NOT LIMITED TO THE DISCLAIMER OF ANY IMPLIED WARRANTIES OF MERCHANTABILITY AND FITNESS FOR A PARTICULAR PURPOSE). THE INFORMATION AND SERVICES MAY CONTAIN BUGS, ERRORS, PROBLEMS OR OTHER LIMITATIONS. WE AND OUR AFFILIATED PARTIES HAVE NO LIABILITY WHATSOEVER FOR YOUR USE OF ANY INFORMATION OR SERVICE. IN PARTICULAR, BUT NOT AS A LIMITATION THEREOF, WE AND OUR AFFILIATED PARTIES ARE NOT LIABLE FOR ANY INDIRECT, SPECIAL, INCIDENTAL OR CONSEQUENTIAL DAMAGES (INCLUDING DAMAGES FOR LOSS OF BUSINESS, LOSS OF PROFITS, LITIGATION, OR THE LIKE), WHETHER BASED ON BREACH OF CONTRACT, BREACH OF WARRANTY, TORT (INCLUDING NEGLIGENCE), PRODUCT LIABILITY OR OTHERWISE, EVEN IF ADVISED OF THE POSSIBILITY OF SUCH DAMAGES. THE NEGATION OF DAMAGES SET FORTH ABOVE ARE FUNDAMENTAL ELEMENTS OF THE BASIS OF THE BARGAIN BETWEEN US AND YOU. THIS SITE AND THE INFORMATION WOULD NOT BE PROVIDED WITHOUT SUCH LIMITATIONS. NO ADVICE OR INFORMATION, WHETHER ORAL OR WRITTEN, OBTAINED BY YOU FROM US THROUGH THE SITE SHALL CREATE ANY WARRANTY, REPRESENTATION OR GUARANTEE NOT EXPRESSLY STATED IN THIS AGREEMENT. ALL RESPONSIBILITY OR LIABILITY FOR ANY DAMAGES CAUSED BY VIRUSES CONTAINED WITHIN THE ELECTRONIC FILE CONTAINING THE FORM OR DOCUMENT IS DISCLAIMED. WE WILL NOT BE LIABLE TO YOU FOR ANY INCIDENTAL, SPECIAL OR CONSEQUENTIAL DAMAGES OF ANY KIND THAT MAY RESULT FROM USE OF OR INABILITY TO USE OUR SITE. OUR MAXIMUM LIABILITY TO YOU UNDER ALL CIRCUMSTANCES WILL BE EQUAL TO THE PURCHASE PRICE YOU PAY FOR ANY GOODS, SERVICES OR INFORMATION. 11. Payments. You represent and warrant that if you are purchasing something from Florida A&M Tape & Packaging, Inc,, dba A&M Tape & Packaging and /or MrBoxOnline.com that (i) any credit information you supply is true and complete, (ii) charges incurred by you will be honored by your credit card company, and (iii) you will pay the charges incurred by you at the posted prices, including any applicable taxes. 12. Securities Laws. This Site may include statements concerning our operations, prospects, strategies, financial condition, future economic performance and demand for our products or services, as well as our intentions, plans and objectives, that are forward-looking statements. These statements are based upon a number of assumptions and estimates which are subject to significant uncertainties, many of which are beyond our control. When used on our Site, words like "anticipates," "expects." "believes," "estimates," "seeks," "plans," "intends" and similar expressions are intended to identify forward-looking statements designed to fall within securities law safe harbors for forward-looking statements. The Site and the information contained herein does not constitute an offer or a solicitation of an offer for sale of any securities. None of the information contained herein is intended to be, and shall not be deemed to be, incorporated into any of our securities-related filings or documents. 13. Links to other Web Sites. The Site contains links to other Web sites. We are not responsible for the content, accuracy or opinions express in such Web sites, and such Web sites are not investigated, monitored or checked for accuracy or completeness by us. Inclusion of any linked Web site on our Site does not imply approval or endorsement of the linked Web site by us. If you decide to leave our Site and access these third-party sites, you do so at your own risk. 14. Information and Press Releases. The Site contains information and press releases about us. While this information was believed to be accurate as of the date prepared, we disclaim any duty or obligation to update this information or any press releases. Information about companies other than ours contained in the press release or otherwise, should not be relied upon as being provided or endorsed by us. 15.Accuracy of Information.It is possible that the information displayed on this Site may include inaccuracies or errors. It is also possible that unauthorized additions, deletions, and alterations might be made by third parties to the information displayed on this Site. 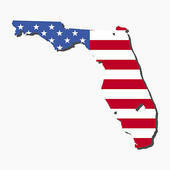 Although Florida A&M Tape & Packaging, inc. and its affiliates tries to be as accurate as possible and ensure the integrity and accuracy of the information displayed on this Site, it does not warrant that product descriptions, pricing, freight quotes, shipping information or other information or Content on this Site is accurate, compete, reliable, current or error free. 16. Colors. Florida A&M Tape & Packaging, Inc. and its affiliates has made commercially reasonable efforts to display as accurately as possible the colors of the products that appear on our Site. However, as the actual colors you will see depend on your monitor, we cannot guarantee that your monitor’s display of any color will be accurate or accept responsibility or the return of such products due to such inaccuracy. 17. Order Acceptance. Please note that there may be certain orders that we are unable to accept and must cancel. We reserve the right, at our sole discretion, to refuse or cancel any order for any reasons. For your convenience, you will not be charged until your payment method is authorized, the order information is verified for accuracy [and your order is shipped]. Some situations that may result in your order being canceled include limitations on quantities available for purchase, inaccuracies, or errors in product or pricing information, or problems identified by our credit and fraud avoidance department. We may also require additional verifications or information before accepting any order. We will contact you if all or any portion of your order is canceled or if additional information is required to accept your order. If your order has been cancelled after you have been charged, we will issue a credit to your account for the charge. Certain items that we transfer from our Elgin, IL warehouse cannot be returned. 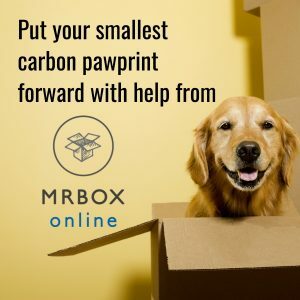 Items that do not appear on this website, MrBoxOnline.com are considered a 'stock item' and therefore may not be returned to the company under any circumstances. 19. Site Security.Users are prohibited from violating or attempting to violate the security of this Site, including, without limitation, (a) accessing data not intended for such user or logging onto a server or an account which the user is not authorized to access; (b) attempting to probe, scan or test the vulnerability of a system or network or to breach security or authentication measures without proper authorization; (c) attempting to interfere with service to any user, host or network, including, without limitation, via means of submitting a virus to this Site, overloading, "flooding", "spamming", "mailbombing" or "crashing"; (d) sending unsolicited email, including promotions and/or advertising of products or services; or (e) forging any TCP/IP packet header or any part of the header information in any email or newsgroup posting. Violations of system or network security may result in civil or criminal liability. Florida A&M Tape & Packaging, Inc. will investigate occurrences that may involve such violations and may involve, and cooperate with, law enforcement authorities in prosecuting users who are involved in such violations. You agree not to use any device, software, or routine to interfere or attempt to interfere with the proper working of this Site or any activity being conducted on this Site. You agree, further, not to use, or attempt to use, any engine, software, tool, agent or other device or mechanism (including without limitation browsers, spiders, robots, avatars or intelligent agents) to navigate or search this Site other than the search engine and search agents available from Florida A&M Tape & Packaging, Inc. on this Site and other than generally available third party web browsers (such as Microsoft Explorer). You are responsible for the confidentiality and use of any user name, password or other personal identifier you use in connection with your use of this Site. You should restrict access of any such user name, password, or other personal identifier to only those individuals you have authorized. You will be responsible to pay any Florida A&M Tape & Packaging, Inc. or any third party vendors for any goods and services obtained through this Site if access to this Site was obtained, or any product was purchased, through the use of such user name, password or other personal identifier. In addition to its other rights, Florida A&M Tape & Packaging, Inc. may terminate your access to and use of this Site if you do not promptly pay any such amounts when due. Although Florida A&M Tape & Packaging, inc. et. al cannot monitor all Content, you understand that Florida A&M Tape & Packaging, inc. et. al shall have the right, but not the obligation, to monitor the Content of the Florida A&M Tape & Packaging, inc. et. al to determine compliance with this Agreement and any other operating rules that may be established by Florida A&M Tape & Packaging, inc. et. al from time to time. Florida A&M Tape & Packaging, inc. et. al shall have the right, in its sole discretion, to edit, move, delete, or refuse to post any Content submitted, to or posted on, the Florida A&M Tape & Packaging, inc. et. al site for any reason, including violation of this Agreement, whether for legal or other reasons. Notwithstanding this right of ours, you are solely responsible for any Content you submit and you agree to indemnify Florida A&M Tape & Packaging, et. al and its affiliates for all claims resulting from any Content you submit.